Kim has been working on the airborne lidar data over Wytham, provided by David Coomes and co at Cambridge, and originally collected by NERC ARSF as part of the AIRSAR campaign. The data were collected on 24th June 2014, so leaf on and a year before our ground campaign. The image below shows the airborne lidar data over a ~100m transect across Wytham wood. NERC ARSF lidar collected over the Wytham site, 2014. It's immediately obvious the difficulty that even this dense, high quality airborne lidar sensor has in seeing through the canopy. 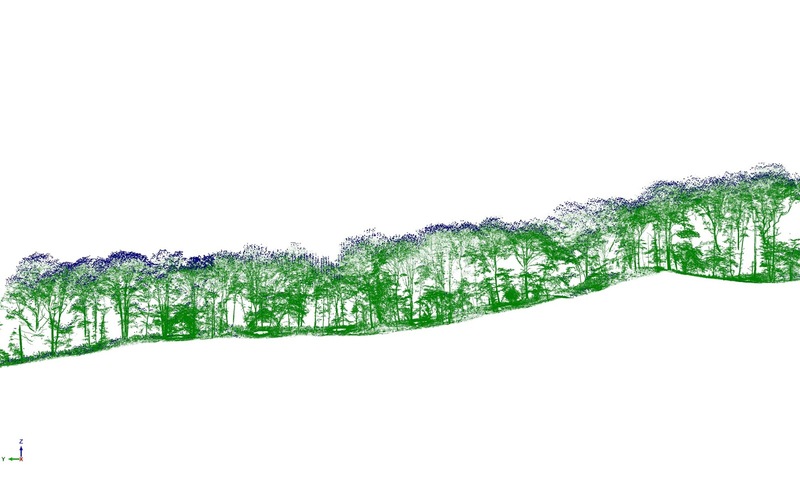 But this is also a lovely example of the power of lidar to show the vertical structure and density of the canopy the layering, and the range of heights over the ground. 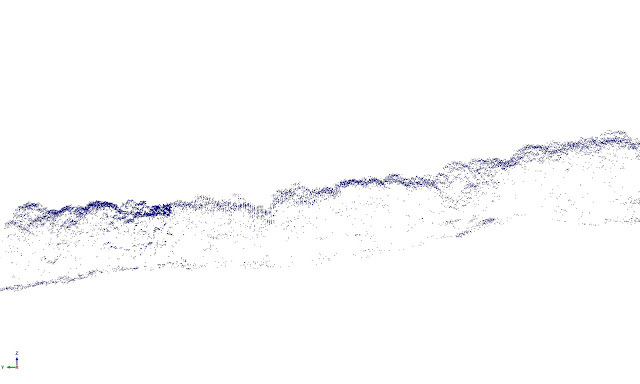 Below we see the same airborne data overlain on to the TLS summer (leaf on) data. It's worth emphasising what a good job Kim's done in manually overlaying these datasets to get the agreement we can see. TLS data (green) collected summer 2015 (leaf on) overlaid on to the 2014 summer ALS data. TLS data (red) collected winter 2015/16 (leaf off) overlaid on to the 2014 summer ALS data. Aerial photograph of the Wytham site, with the lodge visible in the centre and the walkway just visible directly above the lodge towards the edge of the image. Very attractive images dear, really many people like this type of aerial photography. Aerial photography can cover a wide landscape and provide a panoramic view of the landscapes like nothing else. There are certain disadvantages as well as advantages of shooting in the cloudy weather. New techniques and processes for Aerial photography also make it interactive for experts to shoot high quality imagery.